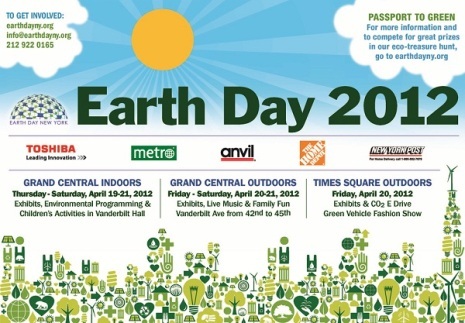 Solar One will be tabling in Times Square on April 20 and at Grand Central Station on April 21 as part of a city-wide array of events for Earth Day 2012. More events: www.earthdayny.org. 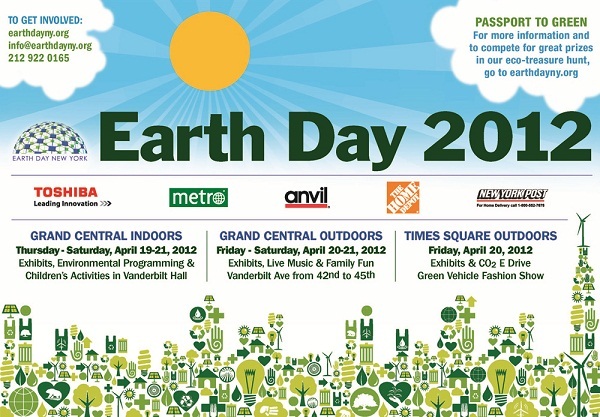 We will also be tabling at the NYC Green Festival on April 21 and 22nd at the Jacob Javits Center. Please visit the NYC Green Festival website for more information! Clean Energy Connections – next panel in Sept.
Clean Energy Connections 2012 panel series has already had three enlightening discussions – June’s “Intelligent Infrastructure: Designing Smart Buildings for NYC,” March’s “Power in Numbers: Capitalizing on the Data of Cleantech,” and January’s “No Money No Problems? Financing Cleantech in the Post-ARRA Era.” Clean EC takes a break over the summer and then reconvenes in September for Climate Week. 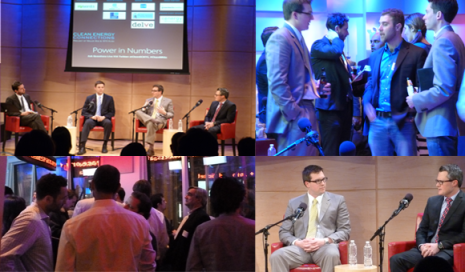 All events take place at the Jerome L. Greene Performance Space, 44 Charlton Street @ Varick. For registration and details check out www.cleanecnyc.org. Bring the Green Design Lab to Your School! Solar One’s Green Design Lab program is now accepting applications for the 2012/2013 school year! This program uses the school building itself to teach about the environment, energy, food, water, materials and air quality, all while helping students”green” their school building. Click HERE to download the RFP and instructions. 2011 Was a Great Year for Solar! Over at GreenTech Media, they just released the results from their “U.S. Solar Market Insight: 2011 Year-in-Review” done in conjunction with the Solar Energy Industry Association. It’s an exciting report covering a “record breaking” year for solar power in the U.S. and to highlight the good news, they pulled out the Top Ten US Solar Stats from 2011. 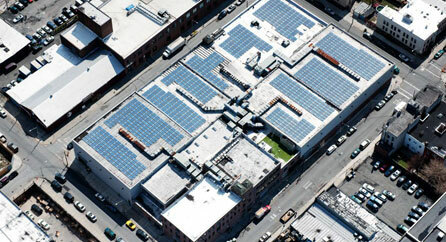 Solar One’s Green Design Lab Featured in the Wall St Journal! Check out this awesome video from the Wall St Journal about Solar One’s Green Design Lab program in the NYC Public schools! You can also read the article HERE at WSJ Online. Big thanks to the NYC DOE and to all the partners and funders who have helped us this program a success. And congratulations to the Education Team on their incredible work!